Is January gone already?? It looks like this year is flying by as we enter February, the month of love, where Valentine's Day reigns supreme. While it may be cold and snowy where you are, we've got plenty of fun to heat things up. *g* Guest authors, reviews, and a prize or two are what's in store at The Romance Dish. Oh, and if that doesn't warm you up, Buffie's Hot Dish will definitely do the trick! On Tuesday, February 1st, Syrie James will kick things off with a guest blog. 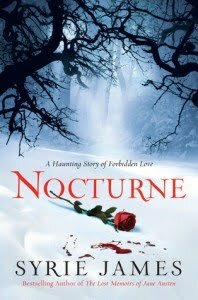 Syrie is the author of The Lost Memoirs of Jane Austen, The Secret Diaries of Charlotte Bronte, Dracula, My Love, and her latest novel, Nocturne. Parano rmal author Joss Ware will be our guest on Wednesday, February 2nd to talk about her latest book, Night Betrayed, book 4 in the Envy Chronicles. Join us on Friday, February 4th with pen and paper in hand. It's time for Andrea's New Releases for February. 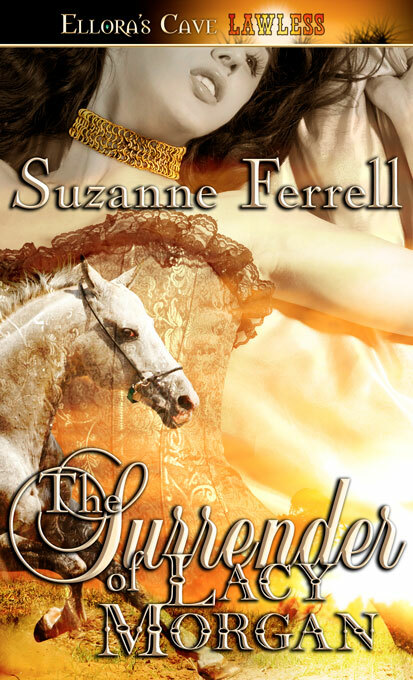 Romance Bandit and debut author Suzanne Ferrell will be blogging with us on Sunday,February 6th about her new book, The Surrender of Lacy Morgan. It's time to Make Your Reservations on Wednesday, February 9th. Join us to see what books we're looking forward to in March. On Thursday, February 10th, Trish Milburn will be sharing the best and brightest in the YA genre in her monthly Teen Menu blog. Prepare for fun and plenty of spice on Friday, February 11th when Kimberly Killion and some of her fellow Ellora's Cave authors blog with us. Romance Bandit and Harlequin Blaze author Tawny Weber is dishing with us on Saturday, February 12th about her February release, Breaking the Rules. Join us for what is sure to be a good time. Tuesday, February 15th is one of my favorite days this month. I can't wait to see which delicious hunk Buffie has selected for this month's Hot Dish! 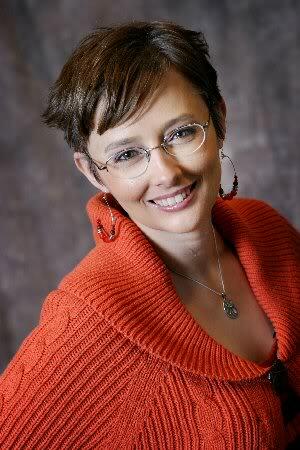 Paranor mal romance and romantic suspense author Cynthia Eden will be our guest on Wednesday, February 16th. 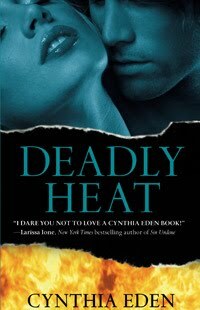 Her latest book, Deadly Heat (released January 25th), has been getting fantastic reviews. We are thrilled to have New York Times bestselling historical romance author Laura Lee Guhrke blogging with us on Thursday, February 17th. Her latest book, Scandal of the Year was released on January 25th. We'll be bringing you more reviews of some must-have books on Saturday, February 19th in our monthly Stock Up Saturday blog. On Monday, February 21st we have a "goddess" in the house when New York Times bestselling author Julia London joins us to dish about her latest book, A Light At Winter's End, which will be released on February 22nd. 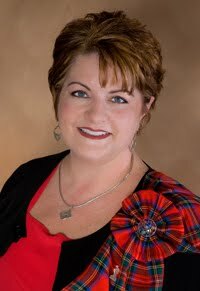 Anna Campbell will be here Thursday, February 24th with her always popular and entertaining monthly Second Helping blog. What are you most looking forward to this month? One random commenter will win a book from my prize stash. As I just finished "Wedding of the Season", I'm looking forward to "Scandal of the Year". And Buffie's Hot Dish, of course. I'm a fan of Joss' Envy Chronicles, so I'm definitely looking forward to "Night Betrayed." Also can't wait for Tawny's Blaze. I have been looking forward to Julia London's A LIGHT AT WINTER'S END. I have been waiting for this follow-up story since reading SUMMER OF TWO WISHES. It sounds like she is putting her characters in a difficult place and having them make hard choices again. What a month ahead whoo hoo. I can't believe we are into February already my eldest grandson Jayden starts school tomorrow I can't believe he is 5 already. I am looking forward to all the guests and regular posts here at the Dishes and I am so excited about Suz Ferrell's debut whoo hoo. Sheree, I have both of LLG's books on my list (which is getting longer by the second!). Buffie's Hot Dish is always a highlight, isn't it?? Jane, I love Joss's books and her books she writes as Colleen Gleason, too. I'm looking forward to reading Tawny's latest, as well. Always a guaranteed smokin' hot read! Librarypat, Summer of Two Wishes was wonderful, and I'm sure that A Light At Winter's End will be just as good. You're right about Julia putting her characters in difficult situations, but it definitely makes for an interesting story. my eldest grandson Jayden starts school tomorrow I can't believe he is 5 already. I remember those days, Helen. It's so exciting. I can't wait for Suz's debut either. Fun! Woohoo!! Another fabulous month here at the Dish! I'm excited that LLG is coming to the Dish! 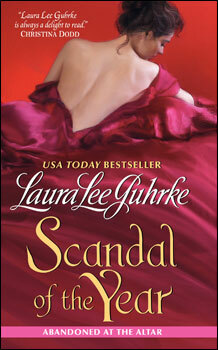 I'm just about to start Scandal of the Year,so that should give me plenty of time to read it before she comes. And of course, I'm sure we are all breathless with anticipation to see what eyecandy Buffie has in store for this month's Hot Dish! lol. A great lineup as usual-looking forward to it! Jill Shalvis has a new book out tomorrow, Animal Magnestism, which I am looking forward to. I'm looking forward to Julia London's visit here. And, of course, I'm looking forward to reading as much as I can this month! Lisa, I'm looking forward to reading LLG's latest series. Everyone's raving about it. It's always exciting to see what the Dishes have in store for a new month. With visits from Laura Lee Guhrke (love her new series) and Julia London (can't wait to read A Light at Winter's End)scheduled, February promises to be exceptionally wonderful. A book I'm looking forward to this month that hasn't been mentioned is Angel's Rest, the first of Emily March's Eternity Springs novels and Geralyn Dawson's first book as Emily March. Maureen, I read Animal Magnetism and loved it! Trisha, I always look forward to Trish's YA recommendations. I'm looking forward to Julia London's visit here. Me too, LSUReader. I love Julia's books. The cover of "The Light At Winter's End" looks inviting especially since another winter storm is headed our way Yuckko! I'm looking forward to Julia London! Looking forward to reading Cynthia Eden's latest, also Kimberly Killion, and Tawny Weber. LOL @ Pam! Stay warm. I'm looking forward to Julia London and Anna Campbell. I can't wait for Kresley Cole's Dreams of a Dark Warrior. I am loving this series and I can't wait for the next installment. i'm looking forward to This Side of the Grave (Night Huntress, Book 5):D love love her works ! runner10, you can't go wrong with Julia and Anna! Danielle, I'm so behind on Kresley Cole's books---they're great---so I need to catch up. Mariska, I love Jeniene Frost!